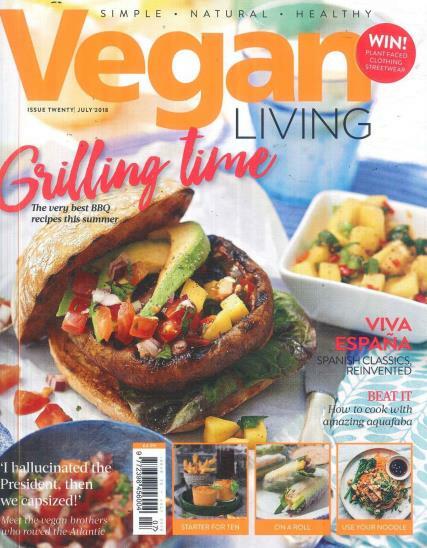 Vegan Living magazine is the magazine for people who want all the benefits of a vegan lifestyle without the bother. The vegan lifestyle is now less hippie and more hip. Celebrities such as Ellie Goulding, Jessica Chastain, Ariana Grande, and Miley Cyrus have embraced a vegan diet for their health and conscience, while an army of cool bloggers and superstar chefs, including Ella Woodward and Jack Monroe, are focussing on meat and dairy-free recipes to promote their message of simple, delicious food. Our recipes are new, inspiring and easy, our features explore the positive and fun aspects of the vegan lifestyle trend, and our travel and shopping sections showcase the very best of what’s available to busy, aspirational professionals. Great writing, beautiful photography, invaluable information and delicious recipes reveal how to live your best life every day. Vegan Living is the stylish, modern magazine for everyone who wants to feel good.